Is there a place within the social sciences for the representation of concrete, individual-level experience? Is there a valid kind of knowledge expressed by the descriptions provided by an observant resident of a specific city or an experienced traveler in the American South in the 1940s? Or does social knowledge need to take the form of some kind of generalization about the social world? Does sociology require that we go beyond the particulars of specific people and social arrangements? The perspective employed in this report is that of the theatrical performance; the principles derived are dramaturgical ones. I shall consider the way in which the individual in ordinary work situations presents himself and his activity to others, the ways in which he guides and controls the impression they form of him, and the kinds of things he may and may not do while sustaining his performance before them. In using this model I will attempt not to make light of its obvious inadequacies. The stage presents things that are make-believe; presumably life presents things that are real and sometimes not well rehearsed. More important, perhaps, on the stage one player presents himself in the guise of a character to characters projected by other players; the audience constitutes a third party to the interaction -- one that is essential and yet, if the stage performance were real, one that would not be there. In real life, the three parties are compressed into two; the part one individual plays is tailored to the parts played by the others present, and yet these others also constitute the audience. Still other inadequacies in this model will be considered later. So Goffman's sociology in this work is heavily dependent on the kind of concrete social observation and description that is at issue here. Much of the interest of the book is the precision and deftness through which Goffman dissects and describes these concrete instances of social interaction. 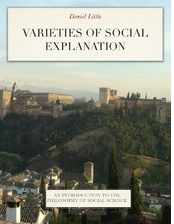 This supports one answer to the question with which we began: careful, exacting and perceptive description of particular social phenomena is an important and epistemically valid form of sociological knowledge. 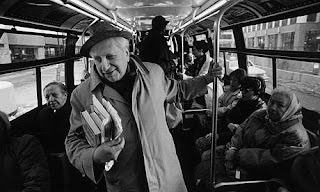 Studs Terkel contributes to our knowledge of the social world when he accurately captures the voice of the miner, the hotel worker, or the taxi driver; and a very important part of this contribution is the discovery of the singular and variable features of these voices. At the same time, it is clear that Goffman goes beyond the concrete descriptions of restaurants, medical offices, and factory floors that he offers to formulate and support a more general theory of social behavior: that individuals convey themselves through social roles that are prescribed for various social settings, and that much social behavior is performance. (This performative interpretation of social action is discussed in an earlier post.) And this suggests that there is a further implicature within our understanding of the goals of sociological knowledge: the idea that concrete descriptions should potentially lead to some sort of generalization, contrast, or causal interpretation. If I remember correctly, Bourdieu criticised Goffmann and the symbolic interactionists for trying to explain interactions in terms of the particular situation of the interaction, without taking into account the structure of social space and the positions of the actors in that space? What I see as a necessary extension in Goffman's work is a serious inquiry into the reasons individuals do what they do. Frame analysis and the definition of the situation are a step in this direction, as is the work on embarrassment and other emotions, but I'm still left wanting to go deeper into the heads of the actors. From my brief readings of Schutz, it seems that he goes in this direction, though what I've read has stayed at the very abstract level. It seems to me that bringing together the approaches of Goffman and Schutz would be very fruitful. Do you know of any work that has attempted anything like this? If you could do a post comparing Goffman to Schutz, that would be awesome. Ben, thanks for the tip. I haven't read those yet, but I've been wanting to dig into Bourdieu.